Finding an apartment that still retains original elements like exposed brick, unique features, and historic architecture can be like uncovering buried treasure. Our apartments near Old City Philadelphia not only offer a variety of spacious floor plans, but we’ve been able to restore and highlight unique features that make our properties truly special. When it comes to décor in a historic yet modernized apartment, highlighting its original features can be a wonderful way to give them the respect they deserve and create a rich ambiance in your home. Many of our apartments frequently feature large windows and exposed brick. Several of our properties were once used as factories or businesses and retaining the original brick and expansive windows pay homage to their great history. Here are some ways you can enhance these historic features even further. Let them be the stars of the show. Exposed brick is beautiful, so you want to make sure that you allow it to shine in your décor planning. Covering your exposed brick as if it were a typical, boring wall could not only damage it, but it takes away from the charm of this unique feature. Don’t overwhelm it and keep it clean. When it comes to oversized windows, play off all the natural light they allow in. Don’t use heavy drapes or if you do – be sure they’re secured during the daytime to let your Old City apartment shine. Balance it. The exposed brick in our apartments has been restored but still retains its industrial charm just like the large windows. As such, you may want to make sure the rest of your décor balances this industrial vibe and softens the overall feel of your home. No matter the look you’re going for, make sure additional accents balance the look of the brick and accommodate the extra light that industrial windows allow. Complement brick with wood. Brick and wood go together seamlessly. Take advantage of this perfect marriage by accenting your Old City apartment’s exposed brick with wood furniture. Consider the color of the brick and choose woods that are complementary to it. Depending on the vibe you’re going for, you can go light or dark when selecting your woods. If your brick is rich red, using dark woods like mahogany or cherry will offer a dramatic feel while light woods like birch will lighten the mood. Use color. While you don’t want to overshadow the beautiful exposed brick in your Philadelphia apartment, you can introduce some color to it that will tie the rest of your décor into the wall. Select a single piece of art that uses the rest of the colors in the room and hang it on the brick. 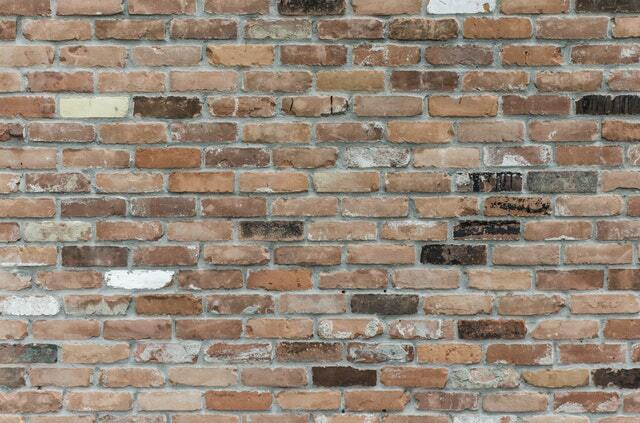 This will give your space a cohesive look and incorporate the brick directly into the overall scheme. And when it comes to lots of natural light, colors will pop! Using interior design and décor to highlight the history of apartments near Old City Philadelphia will not only pay homage to the city’s rich past, but give you a chic, updated home that you’ll love to show off. For more information on our historic properties or to simply check out our amazing idea-inspired photo galleries, visit www.reinholdresidential.com.